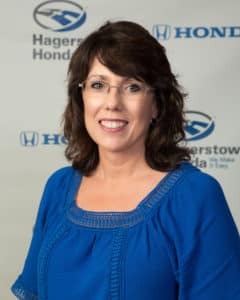 I love working at Hagerstown Honda because of the vibrant atmosphere and the daily interaction with a great team of people. 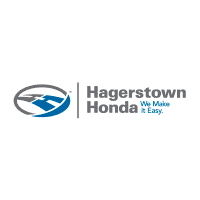 When I’m not at Hagerstown Honda, you might find me running, hiking, or reading. 4. Best meal you ever ate? Let’s skip the meal and go straight to dessert! 6. Your hidden talent? I can walk a perfectly straight line. 10. What is your morning mug filled with? It’s a plastic Dunkin Donuts cup filled with Caramel Iced Coffee.